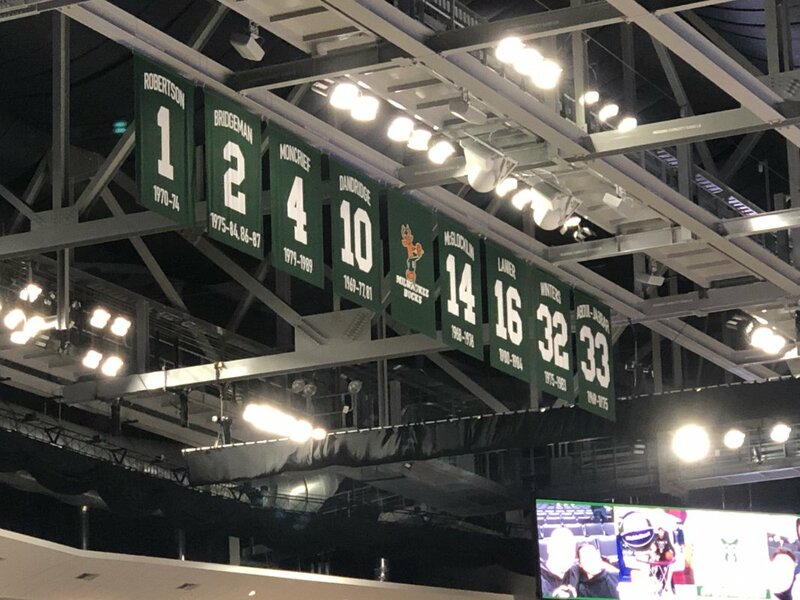 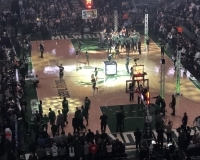 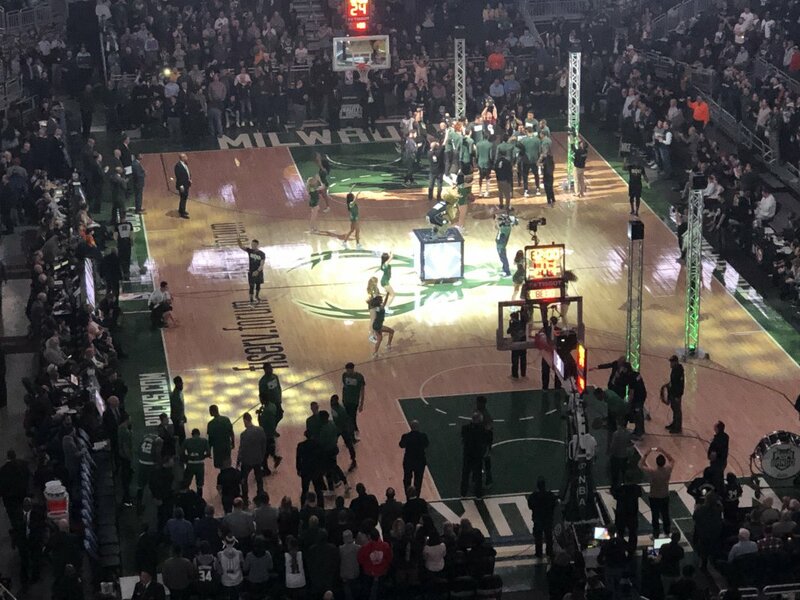 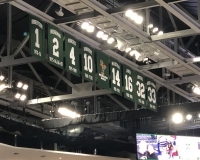 To replace the outdated Bradley Center, the Milwaukee Bucks came up with one of the more unique fan experiences in the NBA. 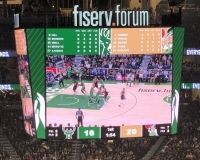 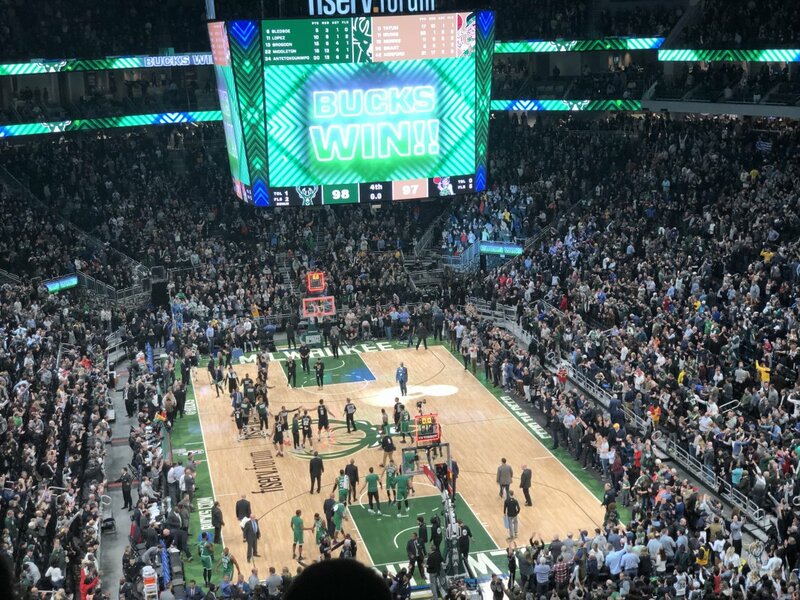 Both outside and inside, Fiserv Forum has plenty to offer for both diehard Bucks fans and visitors to the city. 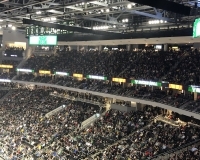 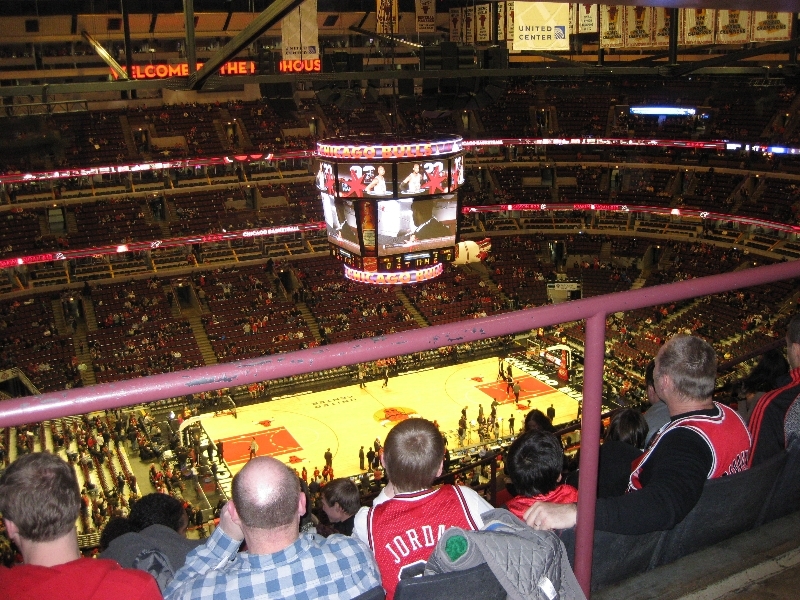 Not surprisingly, the arena quickly became a popular place, both for the newness of it all as well as the fact that its opening coincided with a rising Bucks team that had championship aspirations. Surrounding development is helping make the arena a destination as well — though its downtown location and ease of access already helped in that regard. 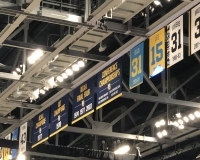 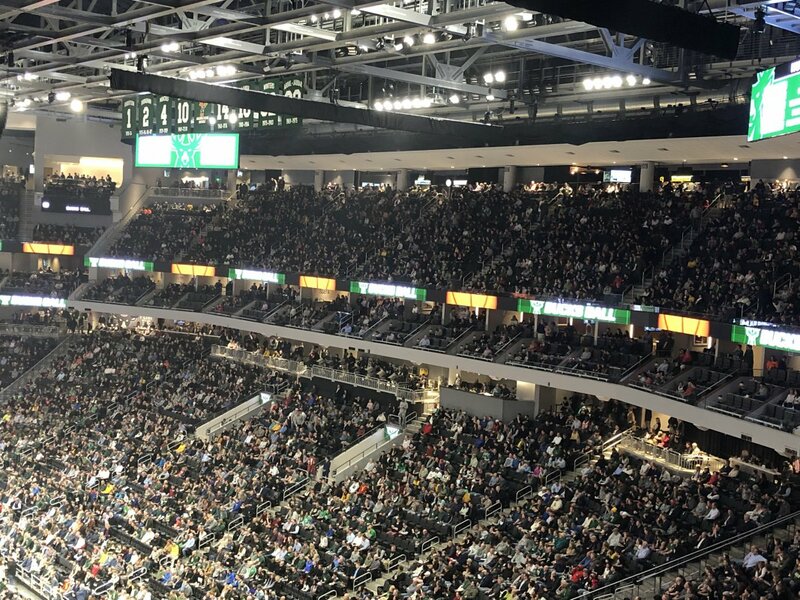 Residents of Milwaukee already loved their hoops — both the Bucks and the major college program, Marquette, have enjoyed plenty of success and past championships. 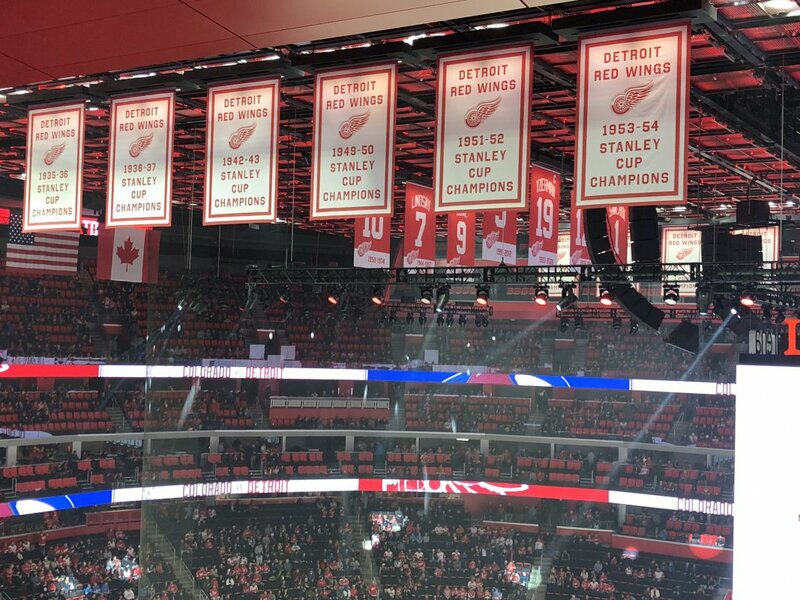 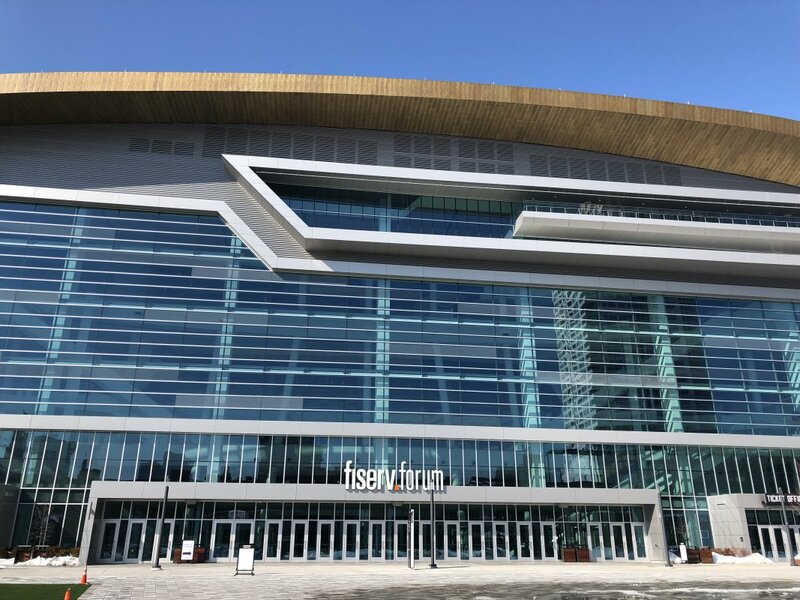 The opening of Fiserv Forum has given them a state-of-the-art facility at which to practice their devotion. 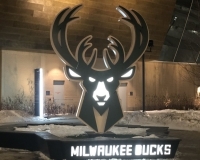 Since the franchise’s birth, the Bucks have resided in downtown Milwaukee, a few blocks west of the Milwaukee River. These days, it’s one of the liveliest sections of town thanks to its many restaurants and bars (more on that in “The Build-Up” below). 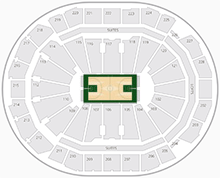 In fact, the sites for the team’s three home arenas — the UW-Milwaukee Panther Arena (formerly known as the MECCA), the Bradley Center and Fiserv Forum — all line up in a neat little row going south to north. 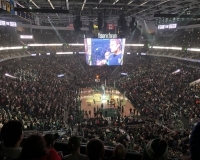 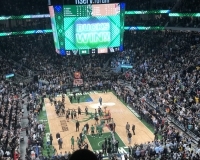 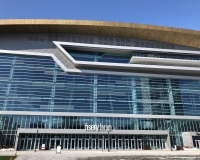 (The Bradley Center was demolished during the 2018-19 NBA season). 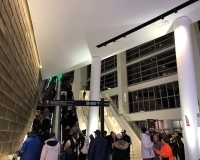 All that is to say that Fiserv Forum is in a convenient and easy-to-reach place for locals and visitors alike. 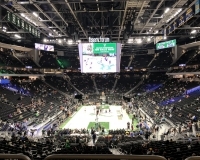 For drivers, the arena is not far from Interstate 43, the major north-south route through the city, and there are a number of surface parking lots and structures nearby. 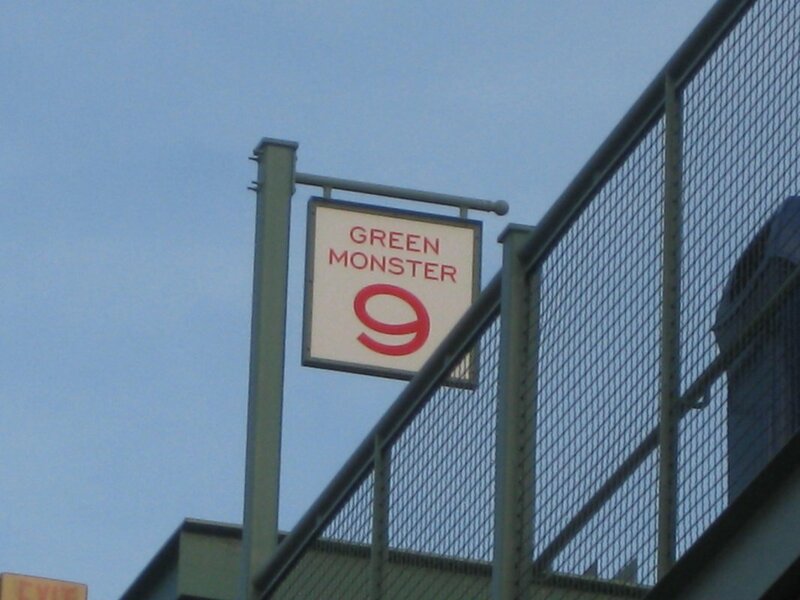 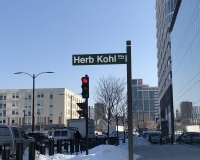 For more on driving and parking, click here. 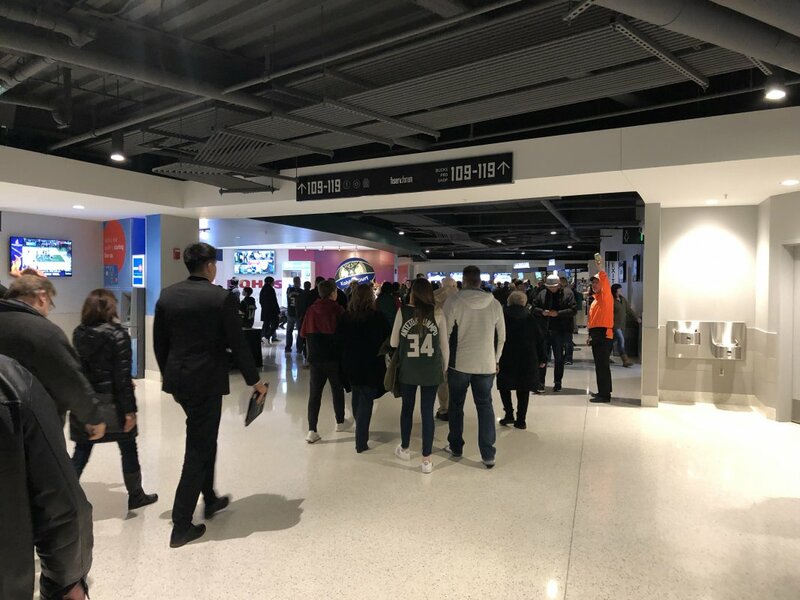 If you’re a visitor to Milwaukee staying in the downtown area, Fiserv Forum is within reasonable walking distance of most downtown hotels — even those on the opposite side of the Milwaukee River. 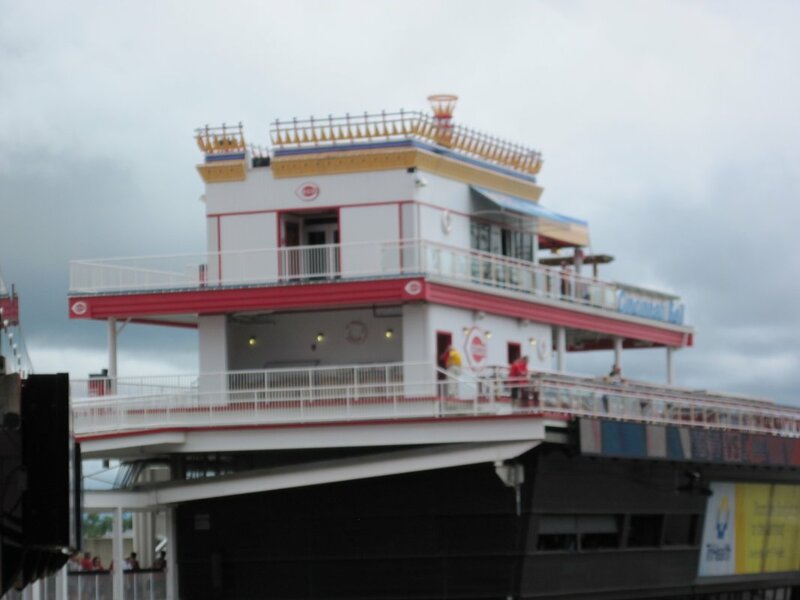 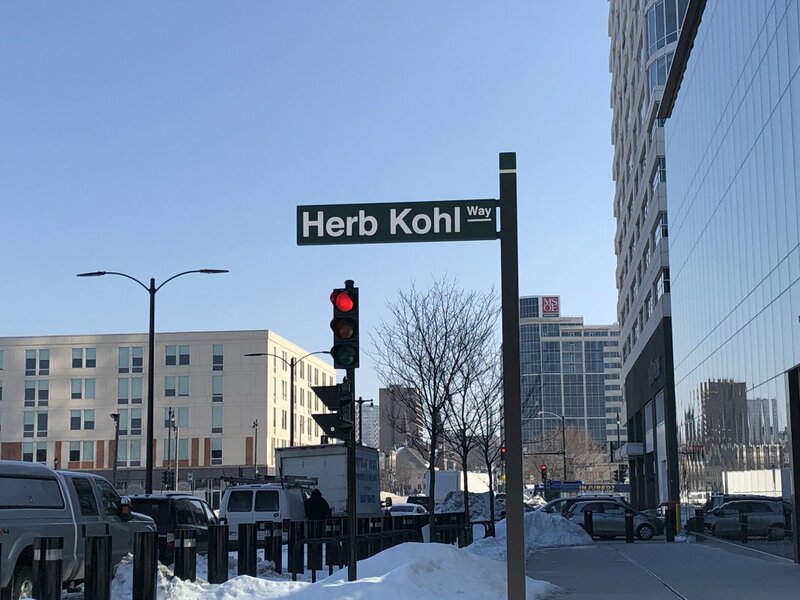 If it isn’t too cold, take a stroll along the city’s Riverwalk along the way. 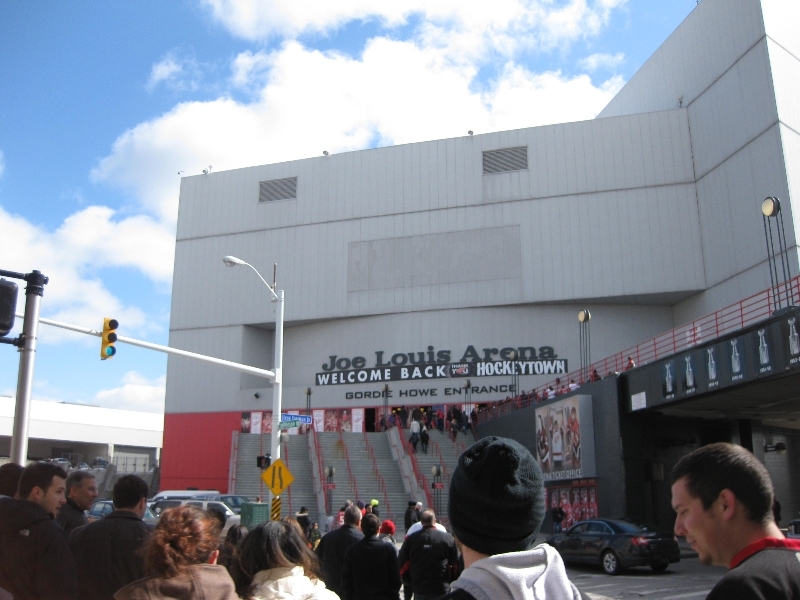 Other than local buses, there aren’t many public transportation options in the city. 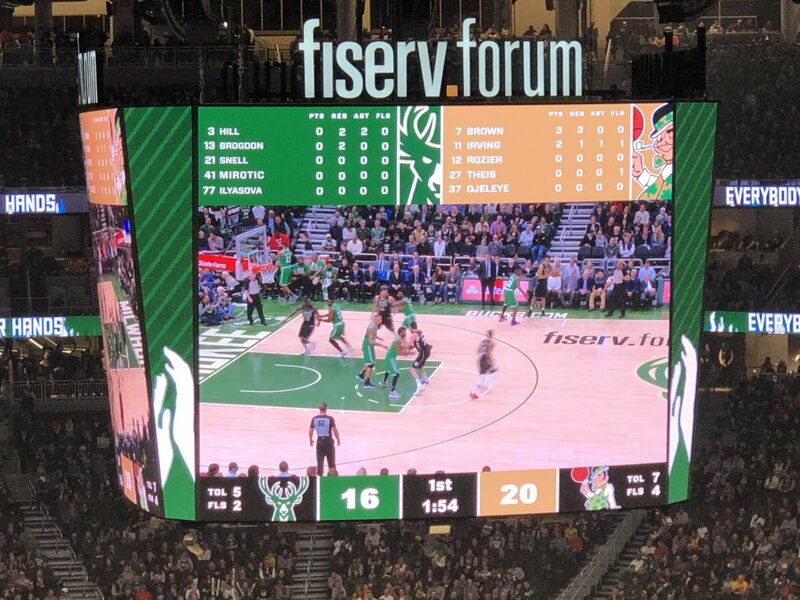 There is a streetcar line that runs through downtown but doesn’t come close to Fiserv Forum. 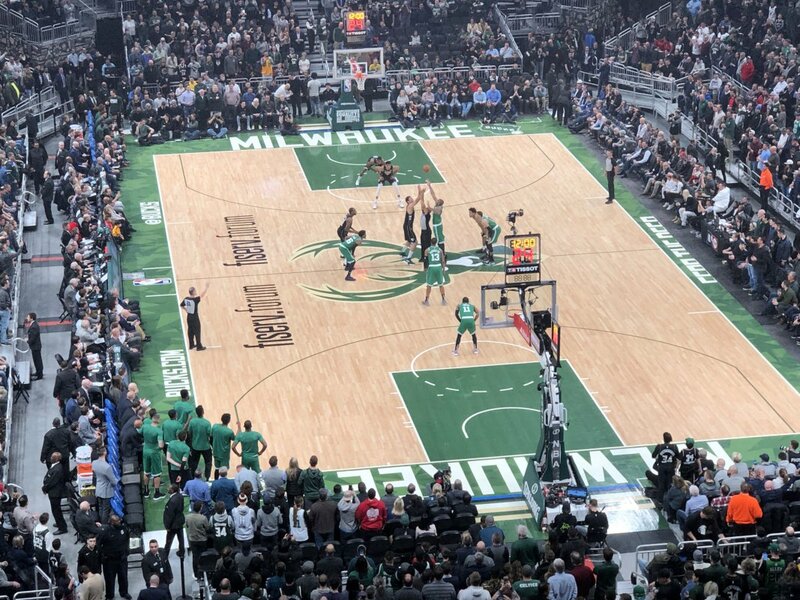 While most of downtown Milwaukee’s attractions and nightlife are options for hoops fans on a game night, the most convenient ones can be found along what’s known as Old World Third Street, a block east of the arena. 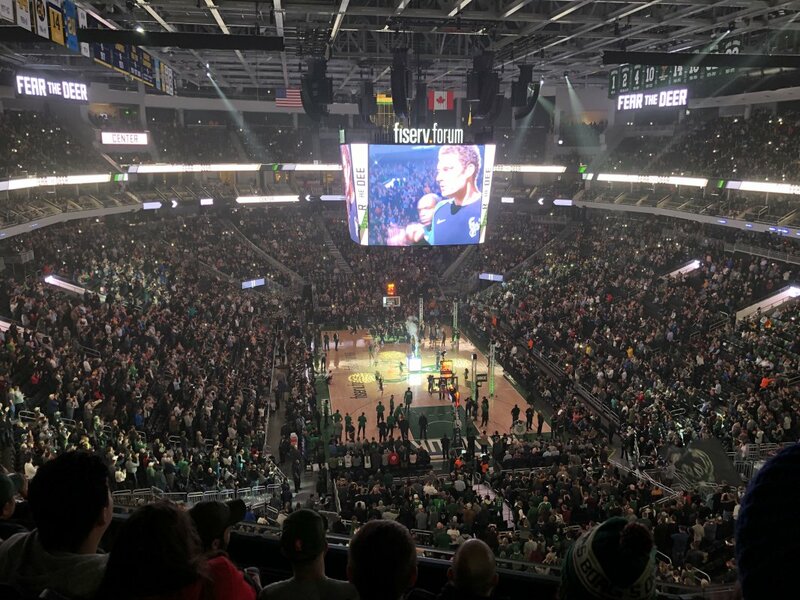 You’ll find numerous bars and restaurants here, many with a sports theme, others with a decidedly German bent — as is the case for many popular Milwaukee establishments. 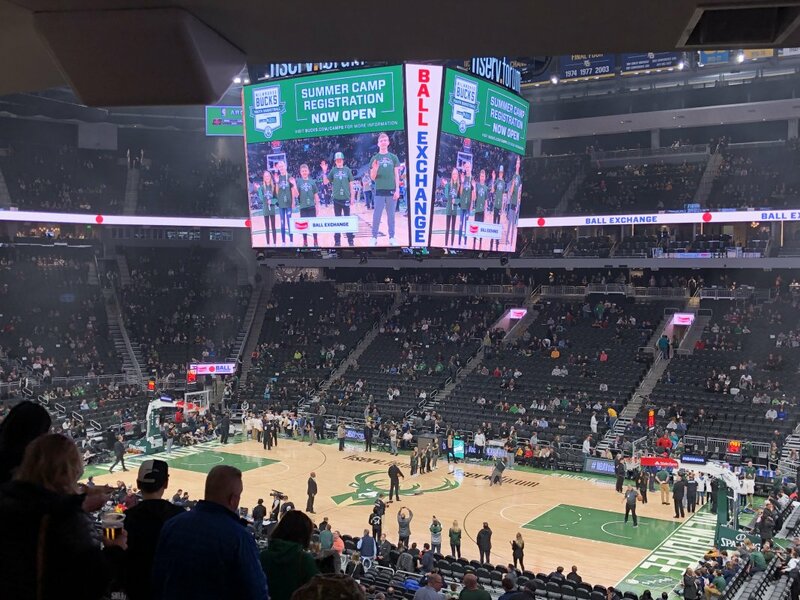 If you get to the area early for a night game, try to check out a couple of the more famous stops on Old World Third Street: Usinger’s Famous Sausage (for bratwursts, of course) and the Wisconsin Cheese Mart (you are in America’s Dairyland, after all). 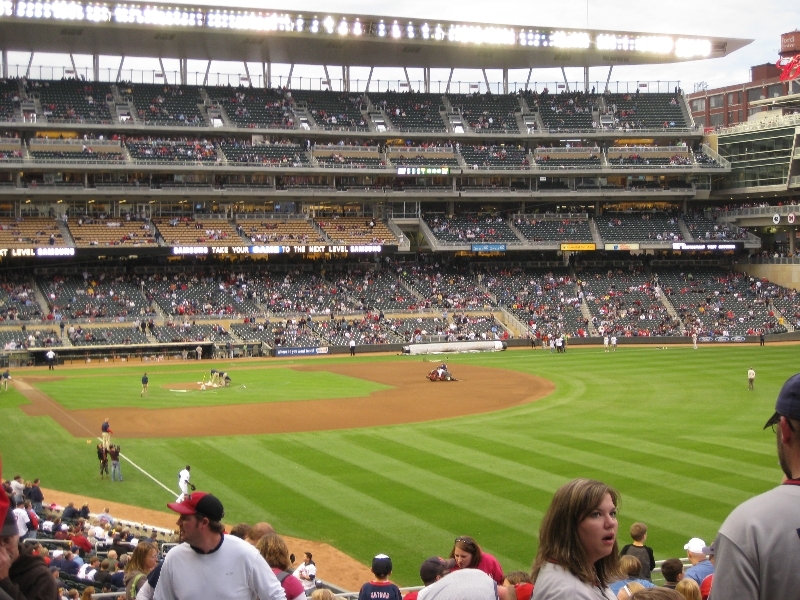 Note that both have daytime-only hours. 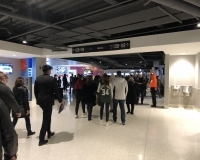 Even closer to the arena, the main entrance faces a plaza that includes a newly built complex known as the Entertainment Block, with restaurants including Punch Bowl Social and the delightfully named Drink Wisconsinbly Pub. 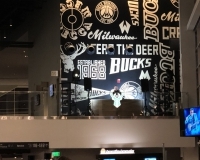 As the area continues to develop, the Bucks have taken to calling it the Deer District, and it promises to have more nightlife options in years to come. 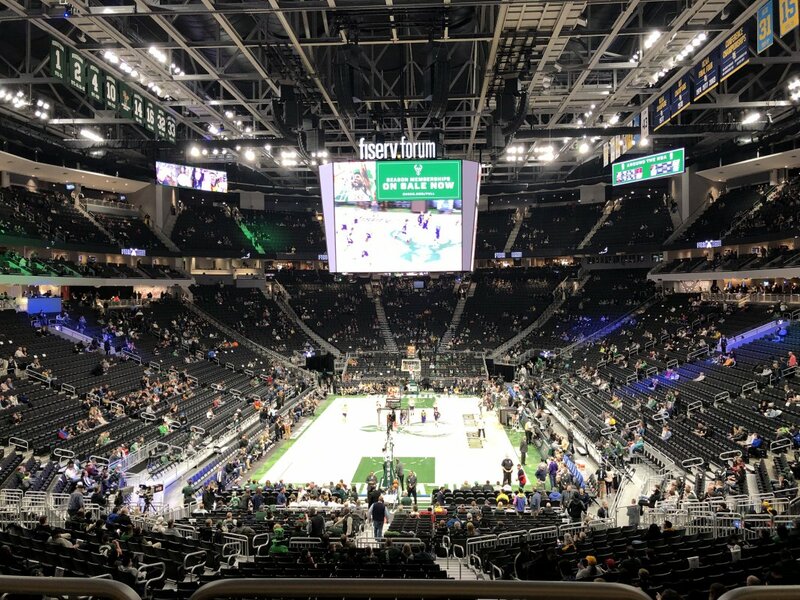 From the moment you lay eyes on the arena, you might sense that Fiserv Forum is a little different. 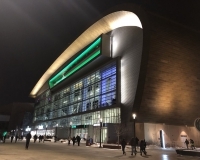 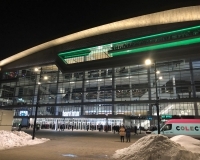 Of course, that would likely be due to its unique appearance, which includes a curved roof, glass facade and — if you’re viewing it on a Bucks game night — green-hued accents. 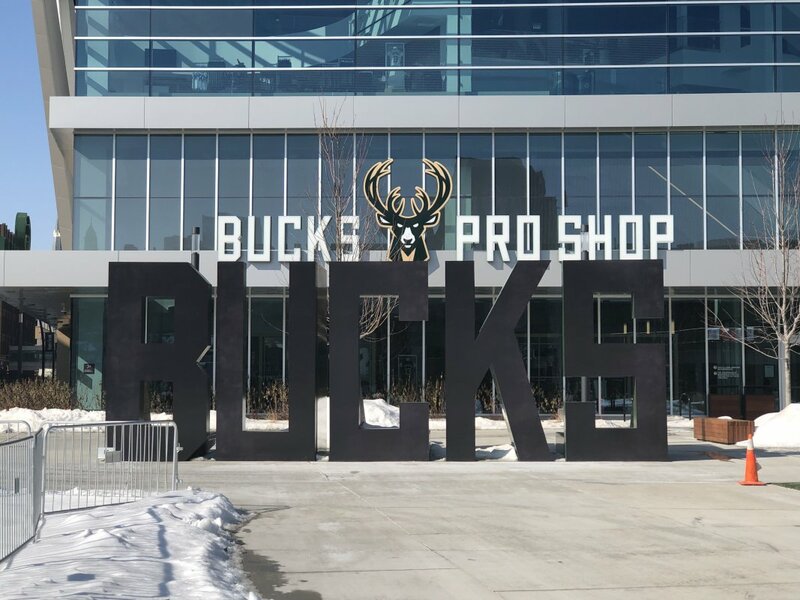 The closed-off-to-vehicles Vel R. Phillips Avenue makes for a nice lead-up to the entrance, as fans come across Bucks signage and the aforementioned Entertainment Block. Once you enter and ascend the escalators to the main level, you’ll come across all the creature comforts of a modern arena, including wide concourses, openings that look out onto the seating bowl, food courts and bars. 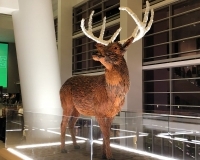 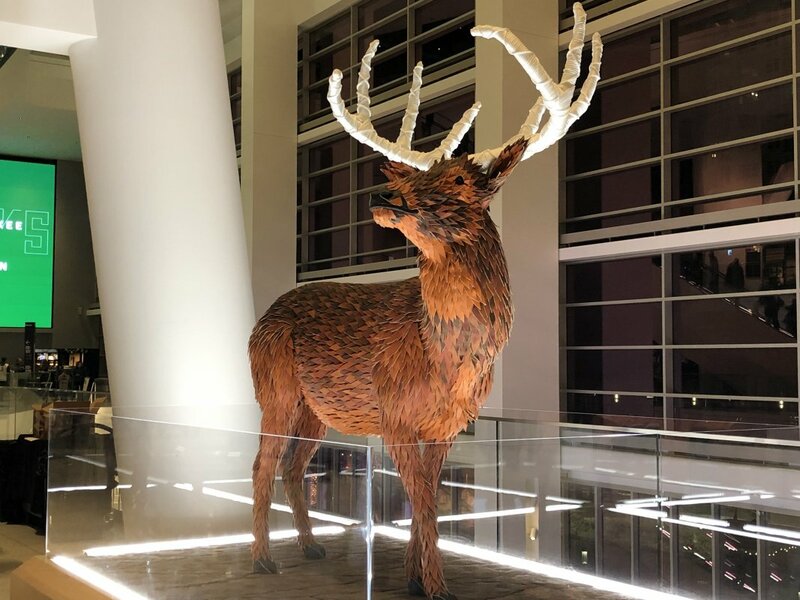 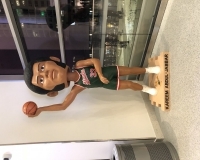 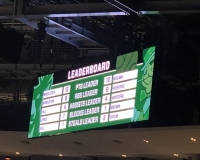 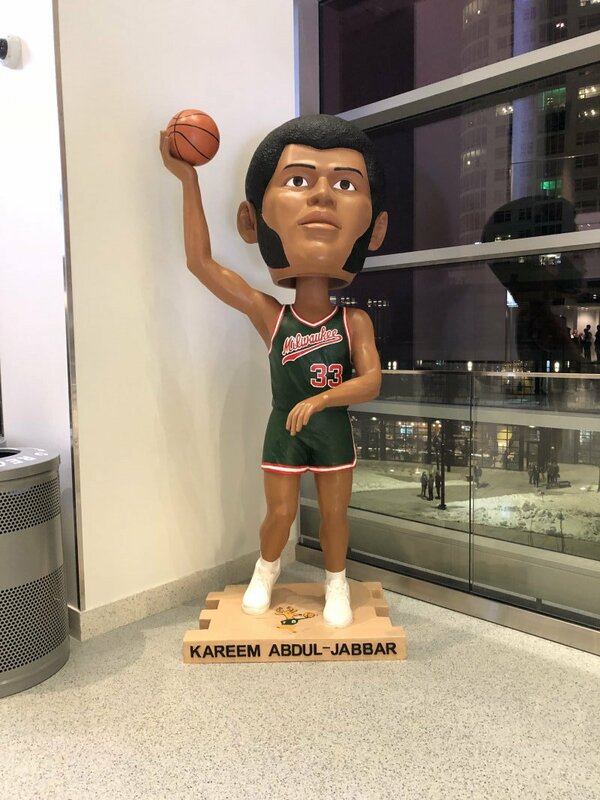 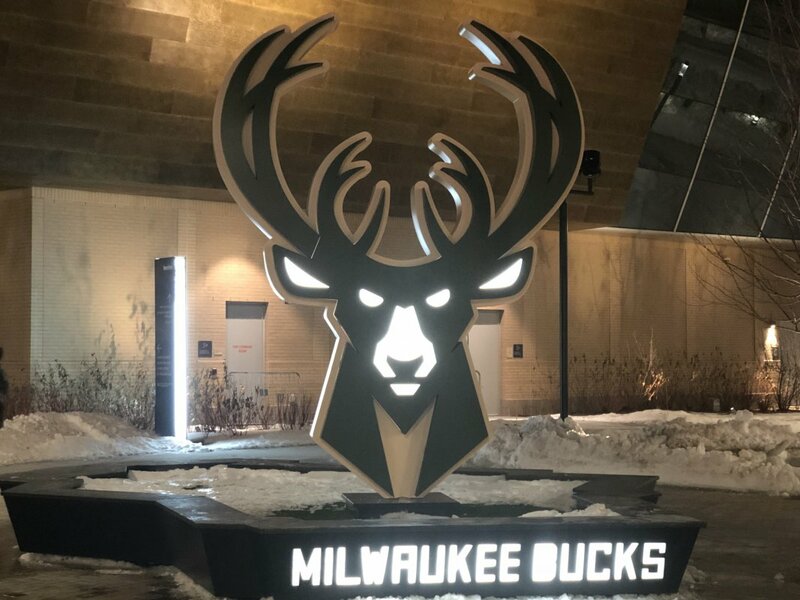 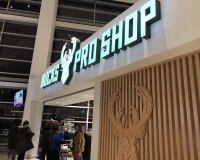 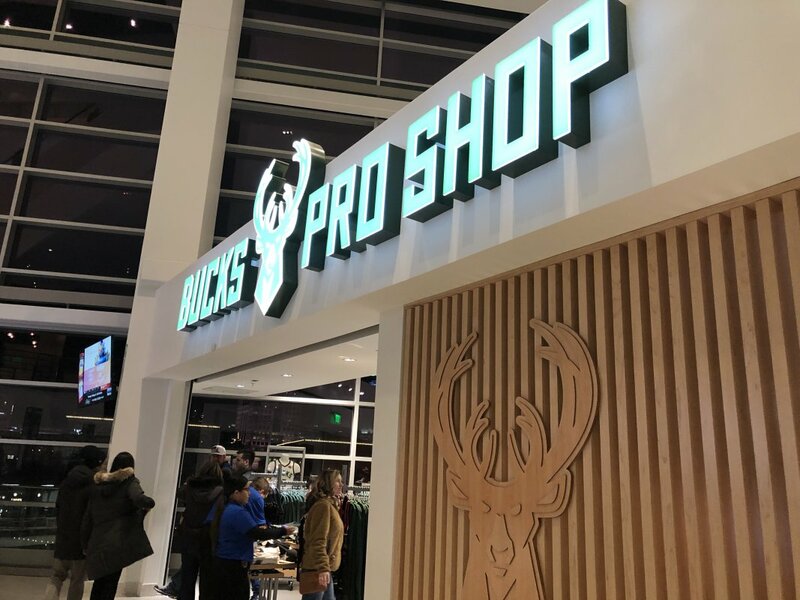 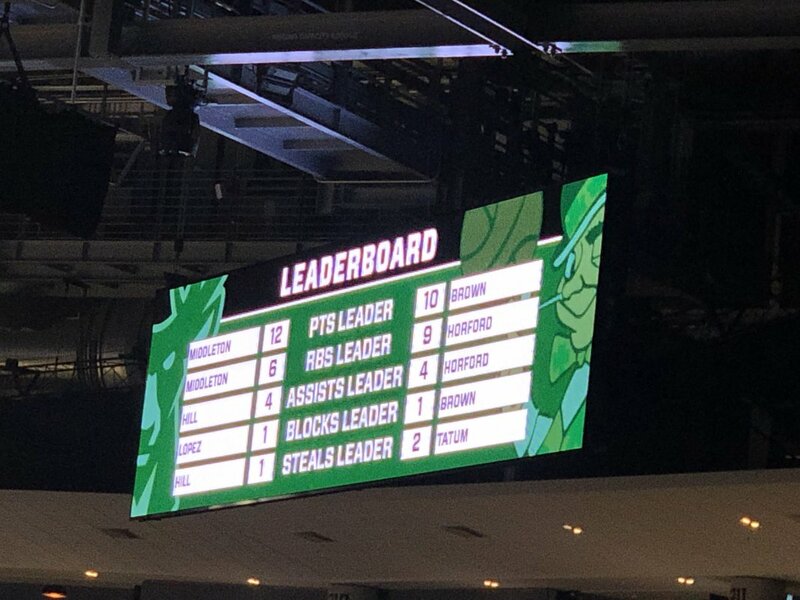 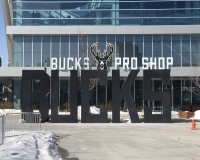 Keep your eyes peeled for various Bucks-related art throughout the main concourse, including a life-size buck statue and a large bobblehead of Bucks legend Kareem Abdul-Jabaar. 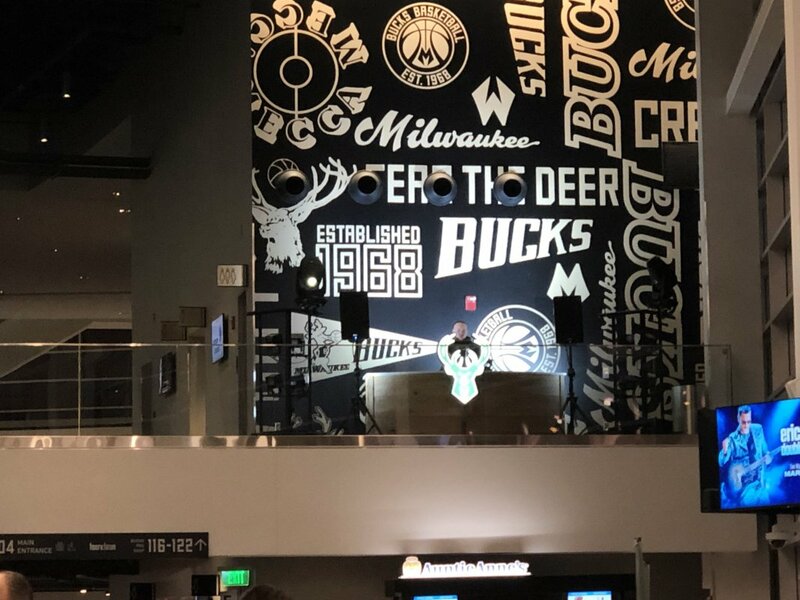 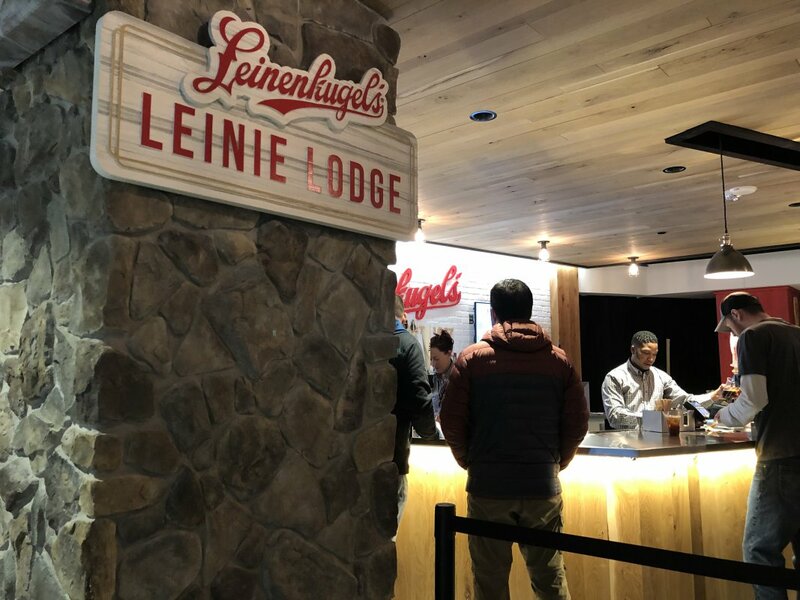 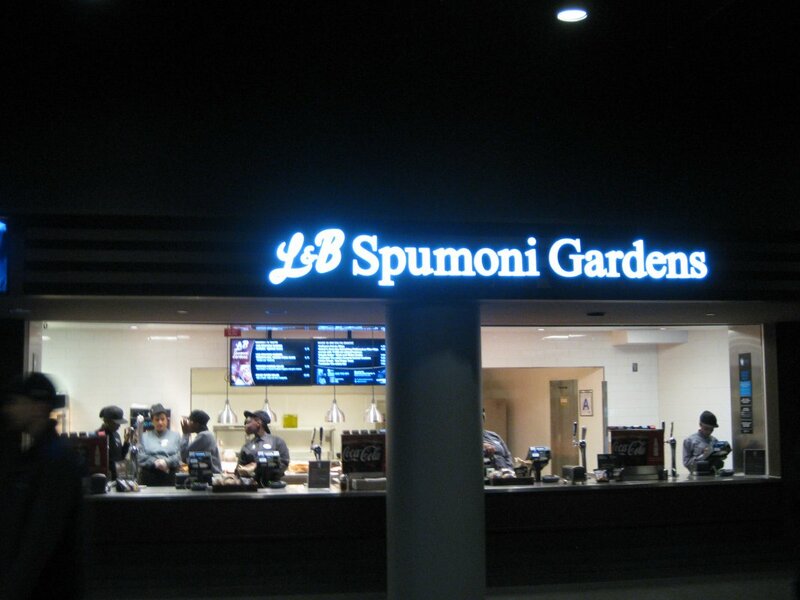 The food and drink offered at Fiserv Forum is a fine representation of the cuisine of Milwaukee. 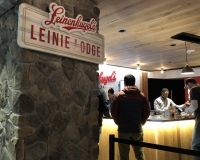 The selection includes bratwursts and other sausages, fried cheese curds and Leinenkugel’s beer, and stands operated by local establishments like Sobelman’s, Iron Grate BBQ Co. and The Laughing Taco. 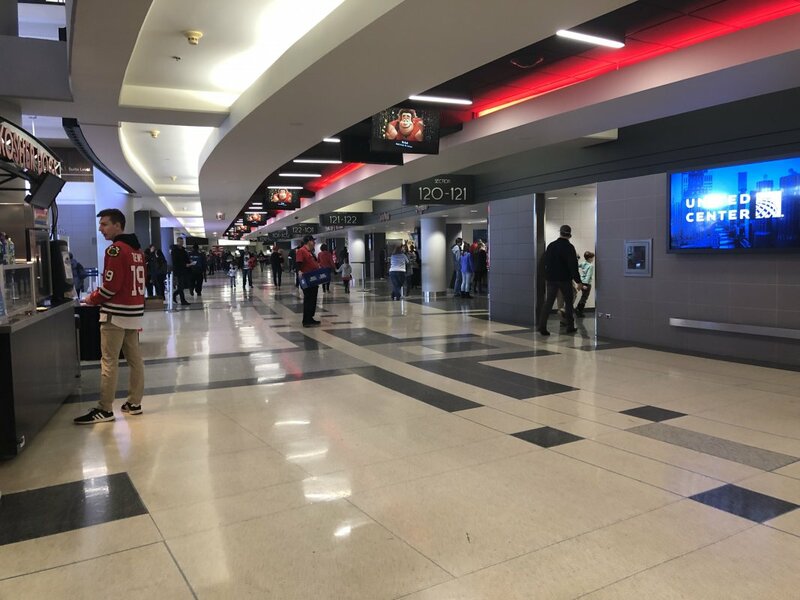 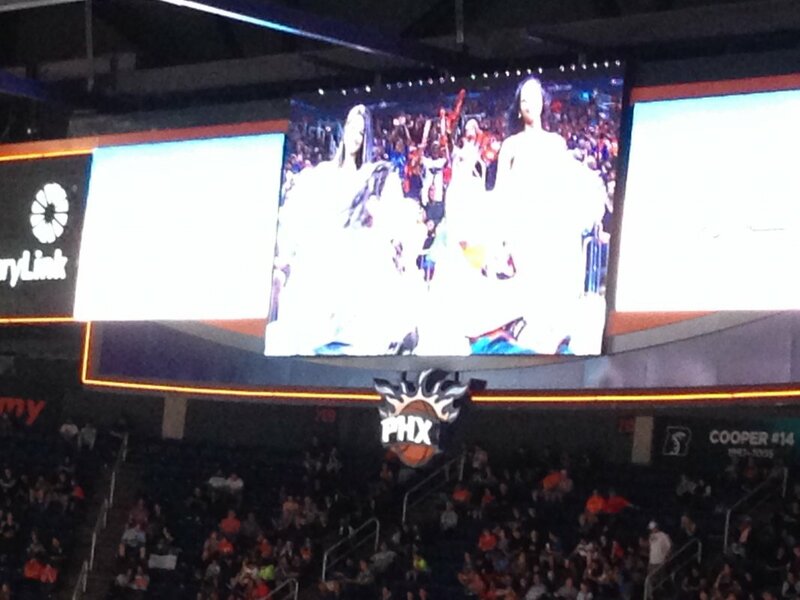 The national chain Chick-fil-A also has stands at the arena. And there are plenty of nightlife options within the arena walls, including the Panorama Club, which hangs above the seating bowl and also offers views outside the arena toward the downtown Milwaukee skyline. 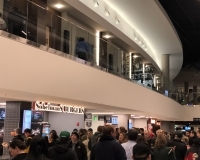 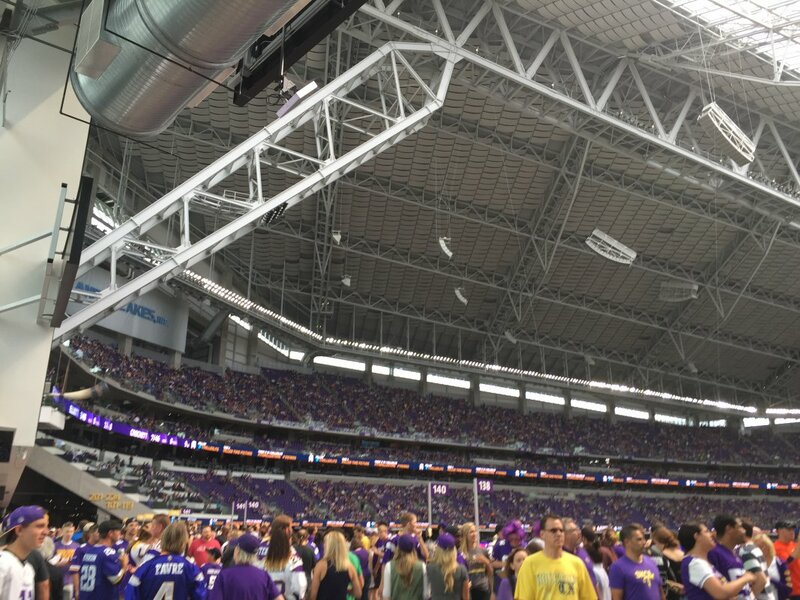 Unlike the other clubs inside, the Panorama Club is open to all fans. 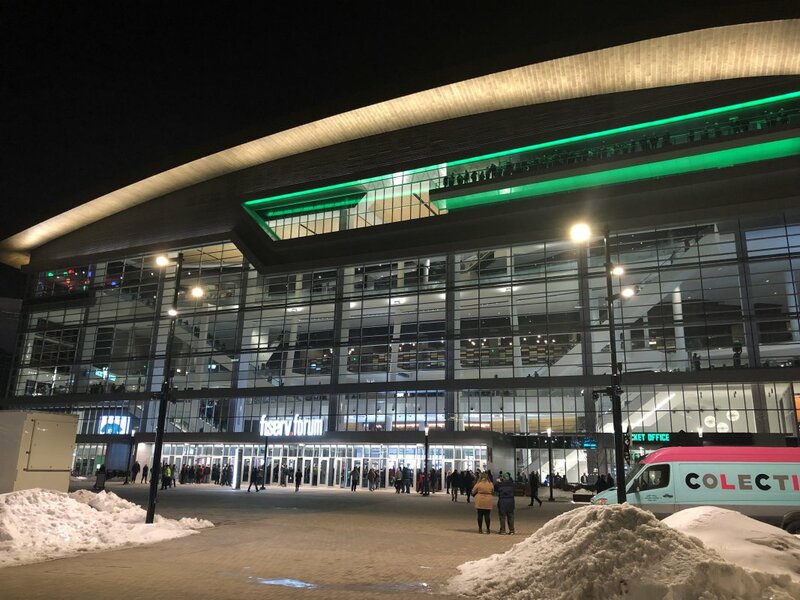 Even though our visit came during its debut season, the arena already felt very much “lived-in” — that is to say, there wasn’t that much of that awkward newness of bare walls or rafters, or of missing features that had yet to be installed. 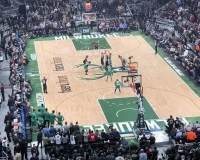 It probably helped that the Bucks were in the midst of a terrific season and the game we attended was nationally televised, but the stands were full and the atmosphere was electric. 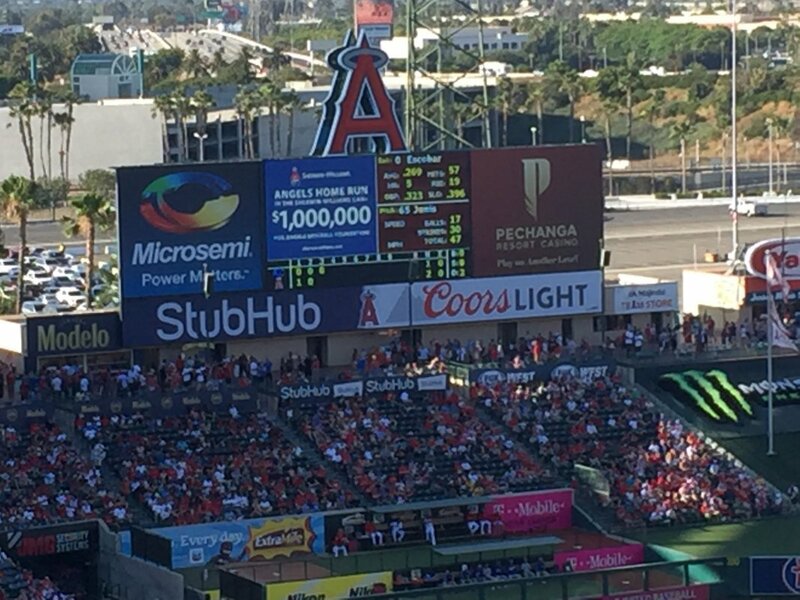 All of that helped contribute to what is an optimal viewing experience. 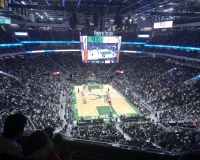 The upper deck is high but doesn’t feel far from the court; the overhead scoreboard is as crisp and clear as you’d expect from a new facility; the supplemental videoboards hanging above each corner of the seating bowl provide as much in-game information as you’ll hope to need; and the rich history of both the Bucks franchise and Marquette’s basketball program are reflected in the many banners that hang from the rafters.